City Peninsula has won two accolades this month: Highly Commended in the Best Design for Four Storeys or More category at the Housebuilder Awards and Bronze for Best Brownfield Development at the What House? Awards. 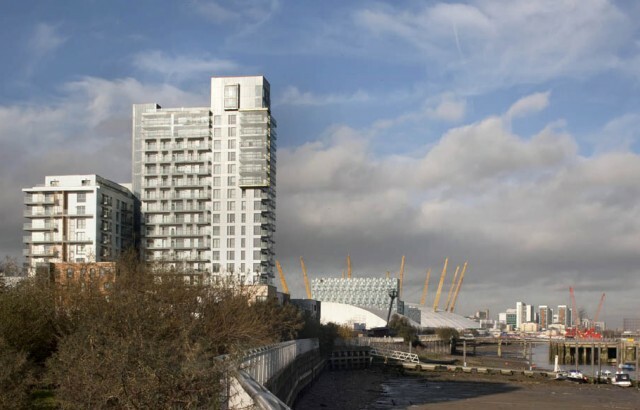 Developed by Bellway Homes, it is the first residential building in the 80 ha masterplan for the Greenwich Peninsula, a £5 billion regeneration project which will be delivered over the next 15 years. Oberon Court by L&Q also won a Bronze prize at the What House? Awards in the Best Sustainable Development category. The scheme in East Ham provides 42 new homes and commercial space and has received several environmental accreditations for its innovative sustainability features.